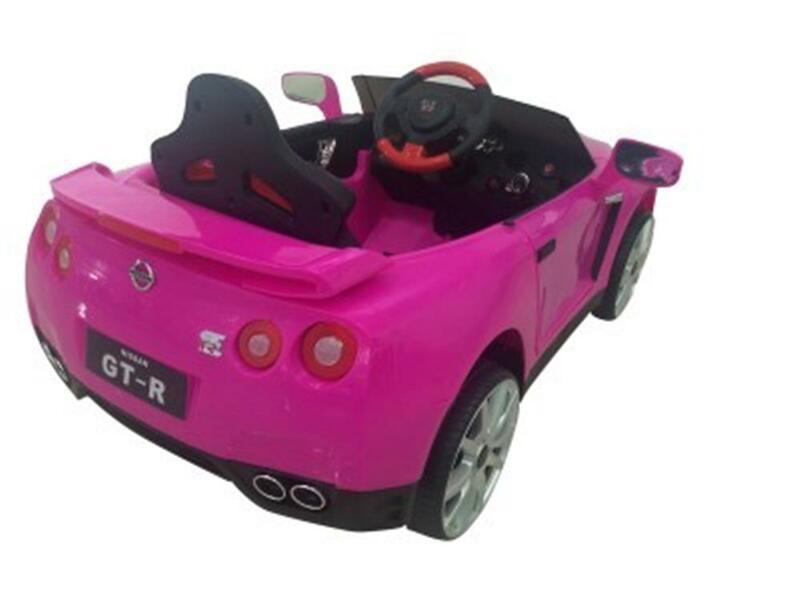 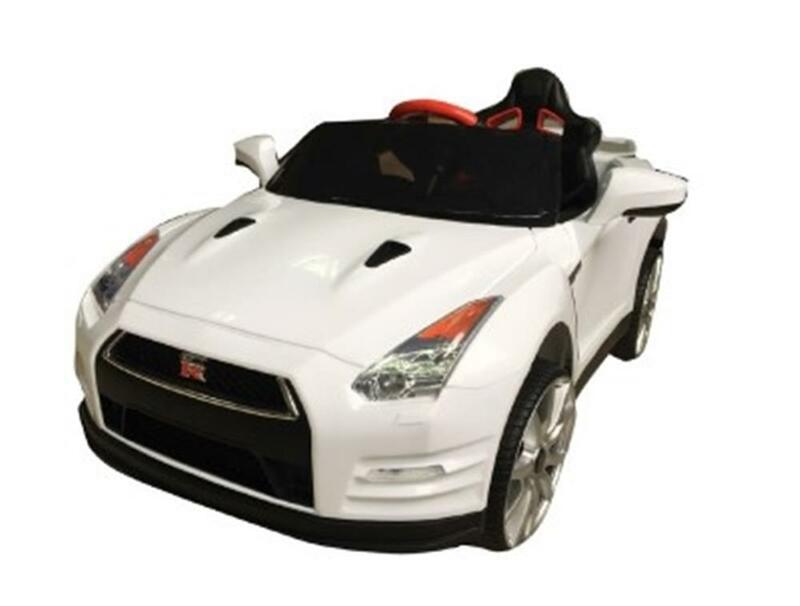 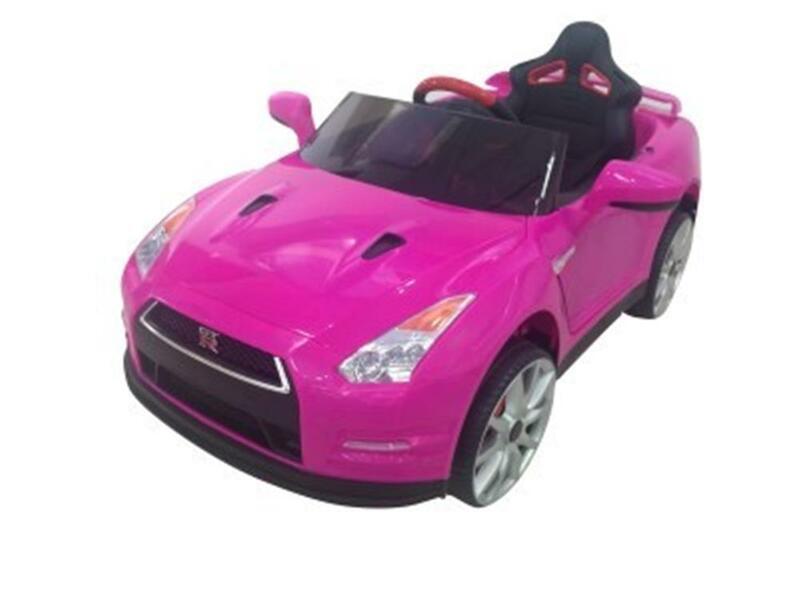 Fun Creation Licensed Battery Powered Nissan GTR-R35 Ride-in Car - California Car Cover Co.
For kids 3 and up ready for action, the licensed Nissan GTR-R35 is the right choice. 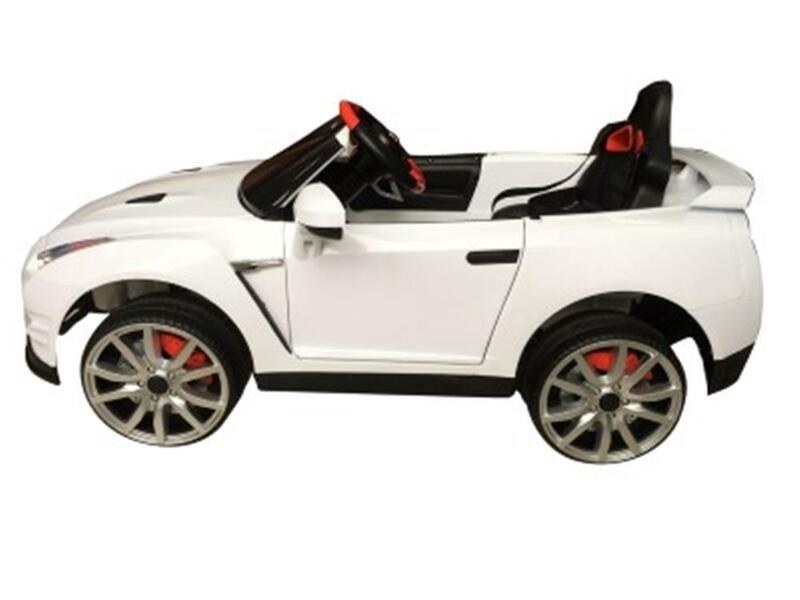 It has opening doors, a power switch, forward and reverse gears, sound effects, a light-up dashboard, battery capacity indicator, and working head and tail lights. 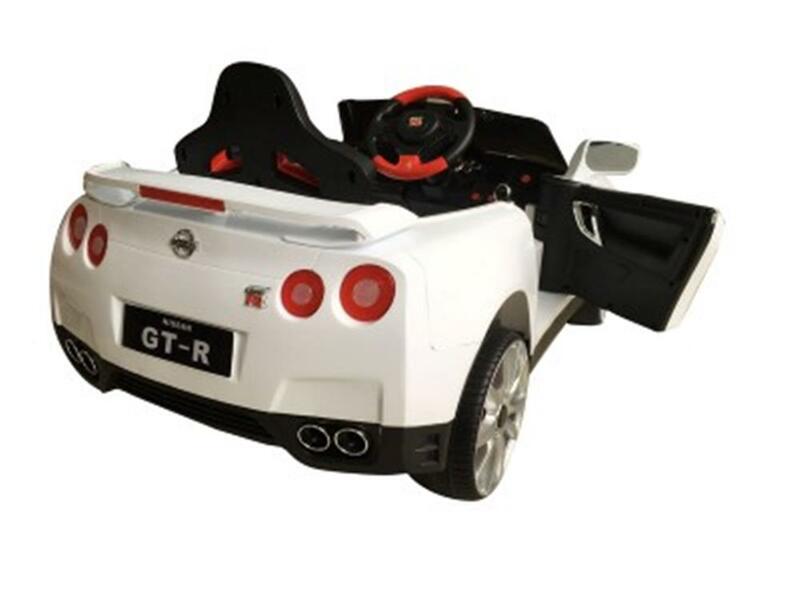 Powered by a 12V rechargeable battery and built for a rider up to 66lb. 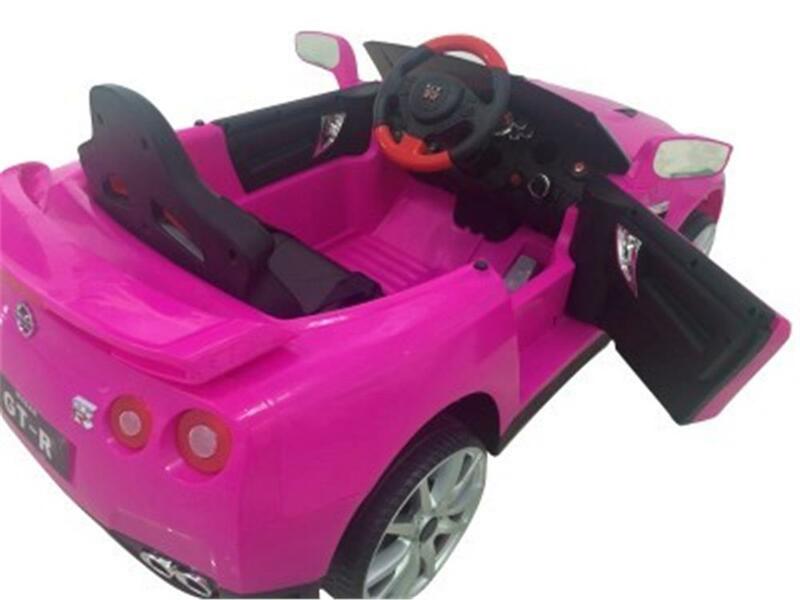 Car measures 46.85" x 29.53" x 20.47".